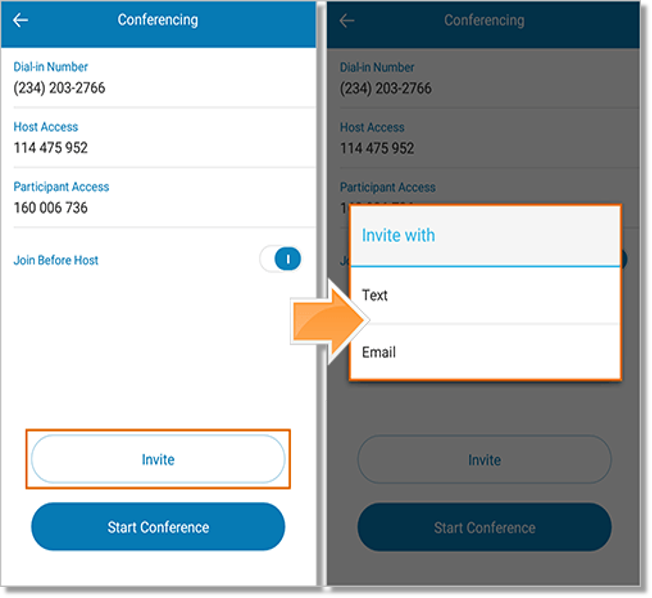 The AT&T Office@Hand Mobile App allows you to initiate conference calls, with its ability to send email or SMS invitations directly from the mobile app. Hosts may invite Participants via Text or Email. See steps below to know how. Go to Conferencing to invite Participants. Tap the Kebab icon (Vertical Ellipsis), and then tap Conferencing. Tap Invite, and then select to Invite with Text or Email. Invite with Text – allows the host to send invites to participants via SMS. Participants may join the conference by tapping the link to the conference. Invite with Email – allows the host to invite participants via Email. Participants may join the conference by clicking a link to the conference. Enter the participant’s name, or click the button to select a recipient from your contacts list, and then tap Send. Select your Email client to send your invite. 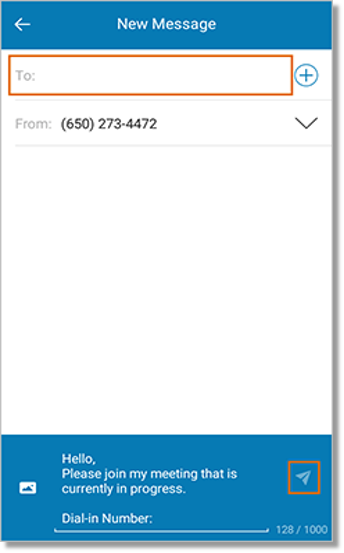 Note: You may see a different screen when you send an email invitation, depending on the version and model of your phone. If you are using an iPhone, sending an email invitation may take you directly to your email screen.